Niedermeier Elementary School - Coming Soon! The Airport High School National Honor Society is sponsoring a fundraiser at Olga's Kitchen in Monroe on Wednesday, April 17, 2019. 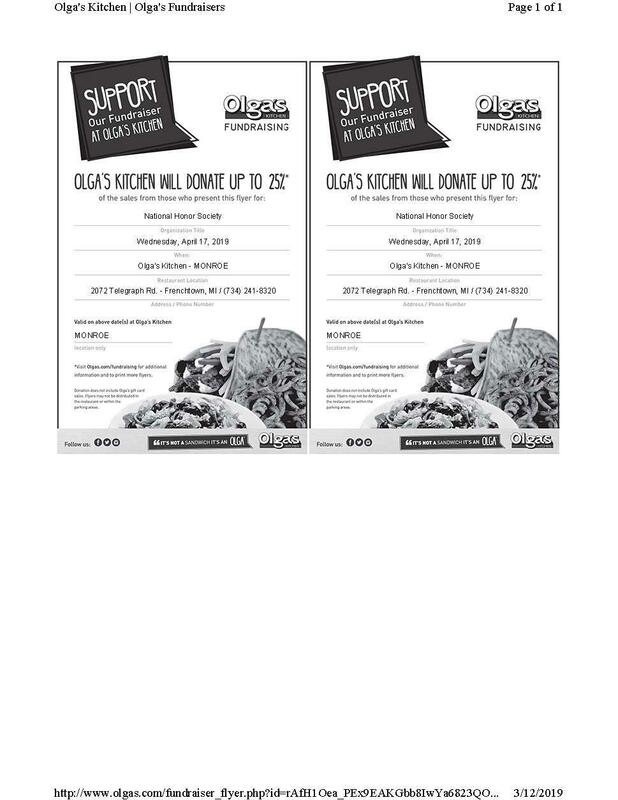 Olga's will donate 25% of total sales from those who present this flyer. Hope to see you there!